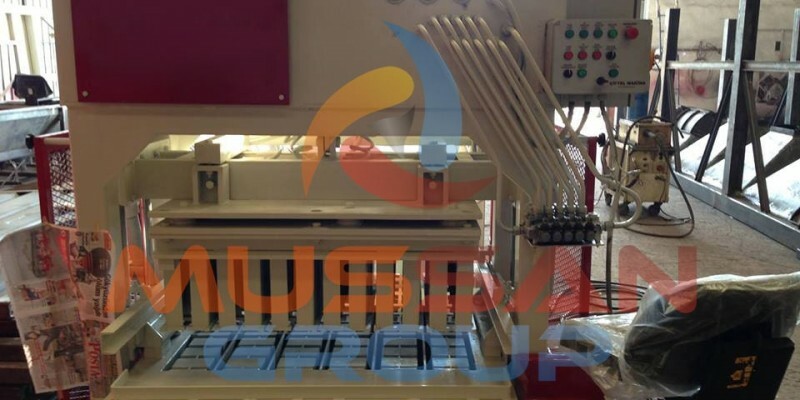 Laying Brick Making Machine is produced with high precision and quality since 1973, by experienced mechanical engineers and stuff, lately united under Mussan Group LTD, Brick Machine Manufacturer Company in Turkey. The Concrete block making machine – MG 6.2 is designed for quick production of up to 5000 pieces hollow bricks per day. The pluses of the laying concrete block machine are: ability to relocate the factory quickly, does not require almost 1000 pallets which will cost up to $15000, which might be needed for static, semi-automated machines. The name for the laying concrete block machine comes from its ability to lay bricks, squeeze applying vibration inside molds. MG 6.2 Laying Brick Machine is able to produce almost all types of solid bricks: paving stone, grass stone, curbstone, decorative block, hollow block, insulation blocks and many non standard products. To produce rare types of bricks you just need to change the machine’s molds, easily disassemblable in couple hours. The machine is depended on few more supportive modules for full operation, rather than on human worker. Forklifts are used to insert ready concrete mixture inside machine, which are inseparable feeders for the laying brick making machine. Those forklift cars, need ready concrete mixture to be ready each time before they feed the laying brick machine. Our company gives you two-year warranty for all metal components functionality and stability. Automotion controller systems, have warranty up to 1 year. We might request more information about your requirements, to optimize factory moduls according to your needs with less money.